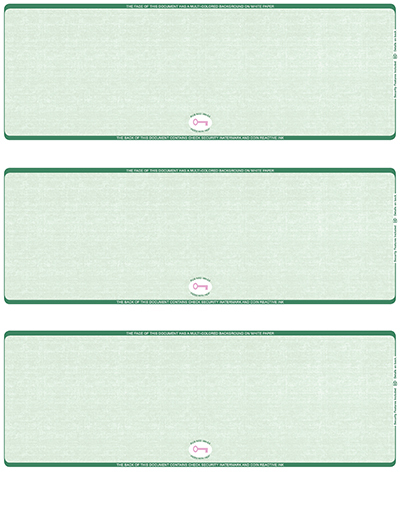 "Green Safety Blank High Security 3 Per Page Laser Checks" product is already in your cart. These high security laser checks are sutiable to accommodate accounts payable, payroll, or general purpose. 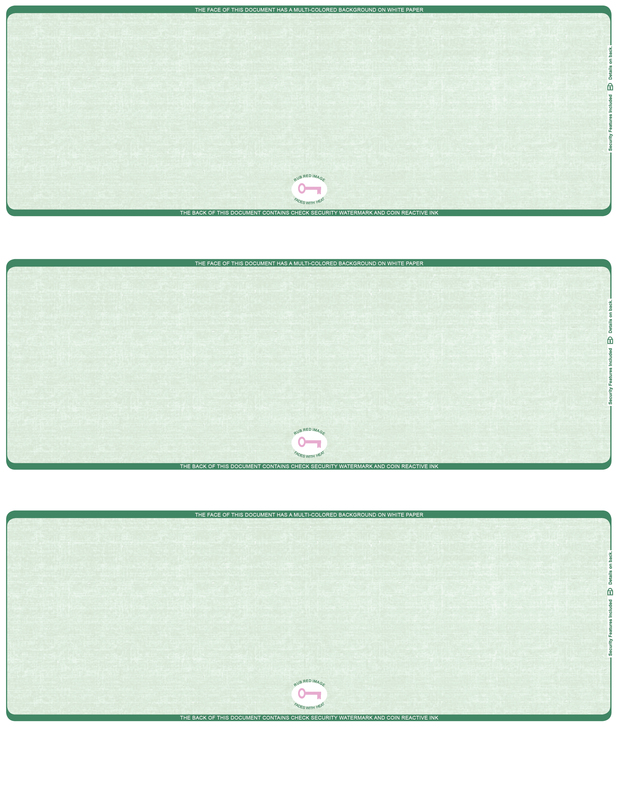 Providing the best security for your business these checks contain 14 different security features including a void pantograph, heat sensitive thermocon, and chemical reactive paper. Checks can be used with both laser or inkjet printers and are compatible with all Quickbooks, Quicken, Microsoft Money, and many more.